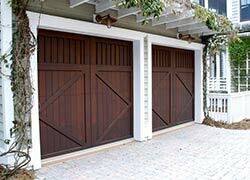 The springs in garage doors are an integral part of proper operation. If they’re not working as they should, the door will not work either. Garage door springs are under a great deal of tension and can unexpectedly break at any moment. Exclusive Garage Door Service technicians know just what to do to make sure the springs are in good working order and protect your garage door. Springs usually break when the door is closed, but they can also break when the door is up or moving up. That could leave you open to the possibility of the heavy door crashing and damaging belongings or people in the garage. You should never try to replace the springs, but should instead call a trusted professional from Exclusive Garage Door Service to work on your garage door springs. Exclusive Garage Door Service will respond on demand to repair or replace your springs and restore the functionality of your garage door. We are very familiar with all kinds of door spring issues and provide fast and efficient service for any spring-related issue all across Indianapolis, IN. Exclusive Garage Door Service has expertise in this area and knows that for a door to effectively function, the tension of a garage door's springs must align with the weight. For example, a door that weighs 150 pounds needs to work with a spring that has 150 tension strength. It’s impossible for a home or business owner to adequately review and assess this ratio alone. Instead, reply on the professionals at Exclusive Garage Door Service to get all the details right. Our experience and skills have prepared us for any spring issues that arise. We are also happy to recommend methods to keep your springs in optimal condition to lengthen their life and preserve your garage door. We stock a wide assortment of parts, so we’ll arrive prepared to repair or replace any of the springs or related parts with ease. You might not even know what a torsion spring is, but Exclusive Garage Door Service, we’re experts. 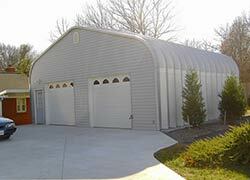 Torsion springs handle the weight of the garage through the placement of a strong beam at the top of the garage door. 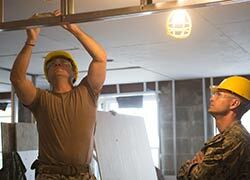 Cables ensure that when the door is going up, the torsion springs uncoil, allowing the door to open. To close the door, the torsion spring and coils work in the opposite direction. When it works as planned, the garage door will open and close as it’s designed to do. Because the torsion spring design helps offset the heavy door, it’s dangerous for an inexperienced person to attempt to repair the torsion springs. If you need a torsion spring door service in Indianapolis, IN, make sure you call Exclusive Garage Door Service to help you make repairs. There are a variety of sizes and strength that must be matched correctly to ensure durability and functionality. A larger spring, for instance, can handle more weight and resistance. Most residential doors need fewer than two springs to handle a door's weight, while a large commercial door likely requires more or larger springs. Other doors use extension springs to accommodate the weight of a garage door by extending and constricting when the door goes up and down. 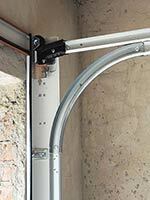 These extension springs are mounted on sturdy machinery located within the garage door system. 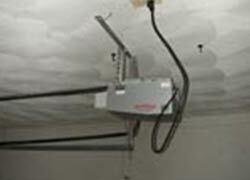 Extension springs constrict to offset the weight of the garage door, which helps the door open and close easily. When the door goes up, the springs draw together, so the door can rise. As the door goes down, the extension springs return to the original position. Similar to torsion springs, these parts are loaded with tension, and an inexperienced person who tries to manipulate them can be in harm’s way. We recommend regular evaluation of your garage door springs to ensure they are in good working order and prevent a more serious problem. And should you experience any problem with your particular spring system, be sure to call Exclusive Garage Door Service to manage all your garage door spring fixes or replacement needs.